The Ministry of Energy has indicated that the renewable energy master plan currently before parliament will help create an energy hub for Ghana. According to the ministry, the master plan after its implementation will attract investors in the renewable energy sector of the country. Speaking to Citi Business News on the sidelines of a Solar Energy Day event under the theme: ‘Paving the Way Towards Reaching 10% of Solar in the Energy Mix’, Director of Renewable and Nuclear Energy at the Energy Ministry, Wisdom Ahiataku- Togobo, expressed optimism that the master will be launched by close of this year. “In the plan, there is a lot of emphasis on local manufacturing and assembling, this is the only way jobs can be created, the only way we can industrialize. We cannot base the country on buy and sell,” he said. He stated that as part of moves to attract investors, the ministry is calling for some tax waivers for business owners who are ready to set up renewable energy manufacturing plants in Ghana. “We are advocating for exemption of tax for components for manufacturing, so if you are to bring components to assembly locally you are exempted from tax, this will encourage local manufacturers. The plan will be cleared by the parliamentary select committee on energy after which it will be subjected to cabinet and eventually launched by close of this year,” he stressed. 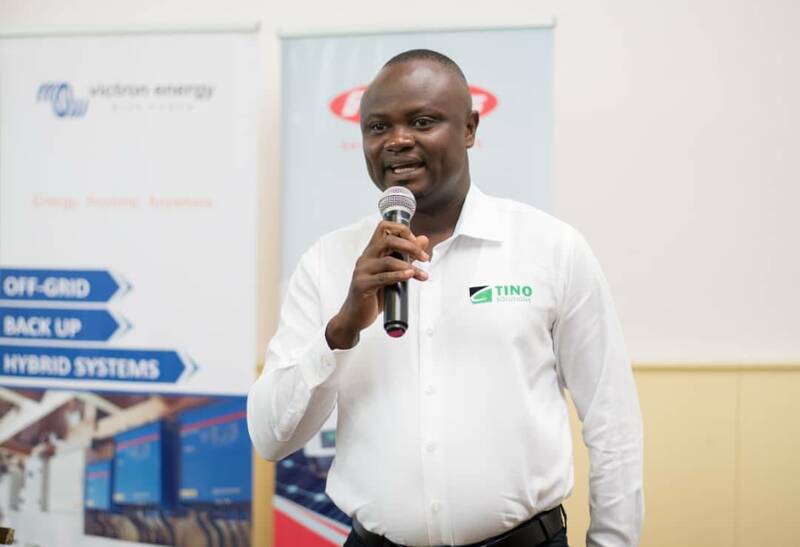 On his part, the CEO for Tino Solutions Limited, Postino Dugle, one of the organizers for the event, said the motive for the programme is to get players within the solar industry to deliver projects of value.